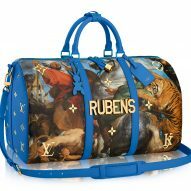 Artist Jeff Koons has teamed up with fashion house Louis Vuitton to create a collection of bags and accessories featuring imitations of some of the world's most famous paintings. 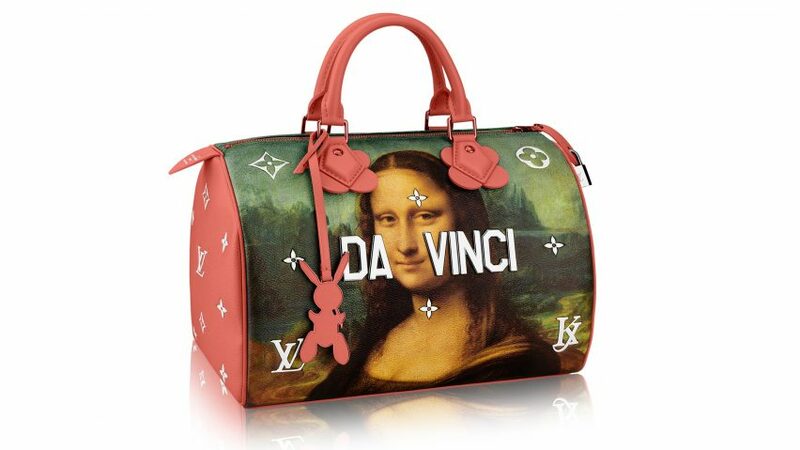 Da Vinci's Mona Lisa and Van Gogh's Wheat Field with Cypresses are among the artworks recreated on Louis Vuitton's iconic handbags for the collaboration with the New York-based artist. Others include The Tiger Hunt by Rubens, La Gimblette by Fragonard and Mars, Venus and Cupid by Titian. But the images are not simply reprints of the original paintings – they are actually based on Koons' Gazing Ball paintings, a series of hand-painted reproductions of works by the old masters. 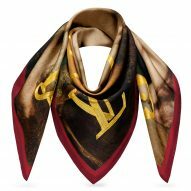 "Pushing its know-how to new limits, Louis Vuitton has employed the most advanced techniques and craftsmanship to faithfully reproduce the artworks on the canvas of the bags," said the French fashion house. "By re-presenting these celebrated pieces on Louis Vuitton bags, Koons once again invites viewers to consider these works anew, opening the museum to the world and encouraging us to experience the old masters in novel ways." Each bag in the Masters collection is emblazoned with the name of the original artist spelled out in gold letters, along with some of Louis Vuitton's signature flower symbols. The bags – which include the Speedy, the Keepall and the Neverfull – also feature both Louis Vuitton's Monogram logo and a new version that uses the artist's initials. The final addition is a tag in the silhouette of one of Koons' best-known artworks, the inflatable Rabbit sculpture. The collection launches on 28 April 2017, and also includes a series of scarves. Koons is not the first artist to work with Louis Vuitton. It most famously worked with Yayoi Kusama to create a collection featuring her iconic polkadots, and has also collaborated with figures including Cindy Sherman, Olafur Eliasson and James Turrell. The brand – which ranked at number 157 on the inaugural Dezeen Hot List – will announce more additions to its collaboration with Koons later this year.